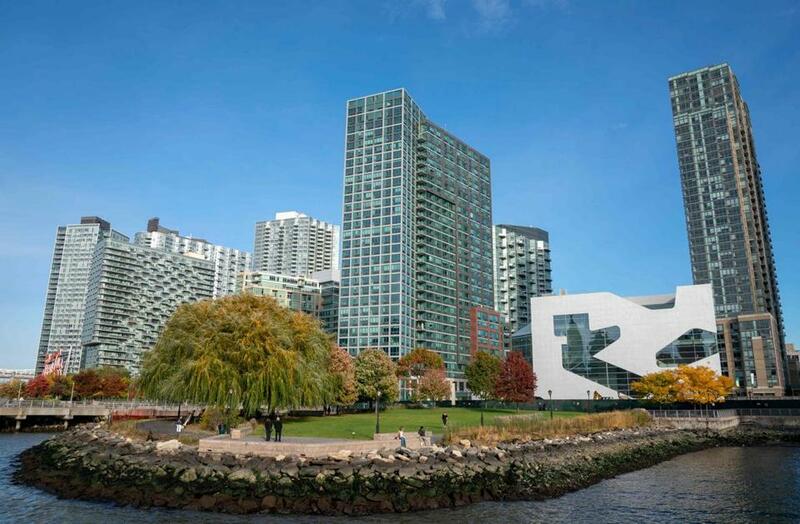 A view of the waterfront of Long Island City in the Queens borough of New York, where Amazon is expected to put its new headquarters. Amazon is apparently having second thoughts about putting half of its second headquarters in New York. But don’t hold your breath on it coming to Boston instead. The Washington Post reported Friday morning that the e-commerce giant is “reconsidering” its plan to base one of its headquarters, with 25,000 jobs, in the Big Apple, as opposition mounts to the approximately $3 billion in tax breaks that New York city and state officials offered Amazon to come there. The Post, owned by Amazon chairman Jeff Bezos, cited “two people familiar with the company’s thinking” who said company executives have held meetings recently to reassess New York and “explore alternatives.” An Amazon spokesman did not immediately return messages Friday. Boston had been seen as an early favorite but apparently fell out of the running after an Amazon team visited last March, with records showing little communication between Amazon and the city after that. On Friday, Mayor Martin J. Walsh of Boston said he had only heard about Amazon’s reconsideration on Twitter, but he was doubtful that the company will take a second look at Boston. 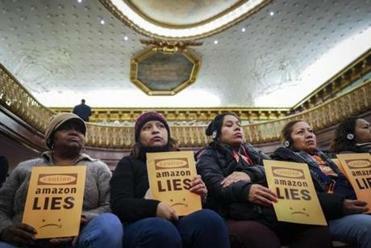 Amazon.com is reconsidering its plan to bring 25,000 jobs to a new campus in New York City following a wave of opposition from local politicians, according to sources. Other states and cities offered up multibillion-dollar incentive packages to woo Amazon, but Walsh and Governor Charlie Baker did not, leaning instead on the region’s universities, talented workforce, and Amazon’s already large presence in the region. Baker Friday reiterated that Massachusetts wasn’t interested in offering Amazon incentives beyond broad infrastructure investments. And Walsh noted that such tax deals — like the one on the table in New York – can prove tricky. It’s hard to know how much the tax breaks factored into Amazon’s decision to split its sought-after “second headquarters” between Crystal City, Va., outside Washington, D.C., and Long Island City, Queens. Although the Virginia site had long been considered a strong favorite, New York came as more of a surprise. The city has a huge workforce and offers ties to numerous industries that Amazon works in. Observers say its bid was helped by Governor Andrew Cuomo’s aggressive campaign and the tax breaks he and New York’s mayor, Bill DeBlasio, offered — which were significantly larger than those offered by Virginia and other top contenders, including Massachusetts. Backlash to those tax breaks grew almost immediately, with advocacy groups and New York politicians, ranging from newly elected US Representative Alexandria Ocasio-Cortez to influential state lawmakers, raising concerns about giving such generous incentives to such a rich company. Most recently, the New York state Senate appointed a vocal critic of the deal to a key board with the ability to block the state tax breaks, which have not yet been approved. Amazon, which has not yet leased office space in New York for the project, hasn’t made any decisions on how to proceed, the Post’s sources said. The threat to “reconsider” could also be a negotiating tactic, designed to pressure wary lawmakers to change their tune. But it also raises the prospect of reopening the HQ2 search, which was highly competitive and dragged on for more than a year.